Many “Rent-Stabilized” NYC Apartments Are Not Really Stabilized. See Where They Are. could suddenly jump for rent-stabilized apartments. As we explained in an April story, this arrangement puts many tenants at risk of sudden displacement or even homelessness if they can’t afford a sudden increase in their preferential rent. Others may find themselves paying more than they should if the owner incorrectly calculates the maximum “legal” rent, as many do. One Brooklyn family we profiled in our April story had to move when their landlord raised their preferential rent by $571 per month to the legal maximum. To get a better understanding of where preferential rents are most common, we’ve mapped out the data by ZIP code. We also added related information such as the percentage of residents who live under the federal poverty line, based on the latest American Community Survey data. 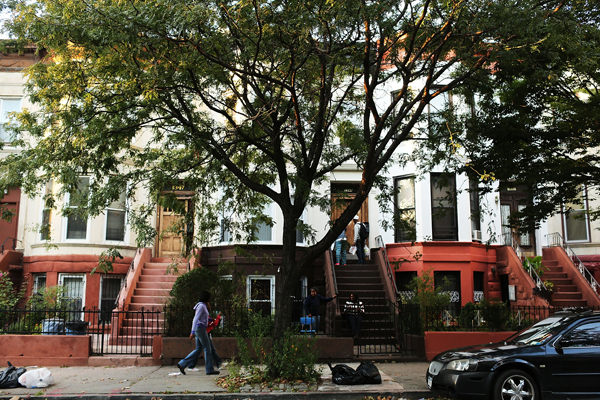 The state’s Division of Housing and Community Renewal says in a fact sheet that it does not allow owners to condition receipt of preferential rent “upon the performance of an act by the tenant.” A spokeswoman stopped short of saying the clause is illegal, but hinted in a statement that the agency would look dubiously upon such lease language. This discourages some eligible residents from applying. Aged 72, retired, and subsisting on food stamps and $2,123 in monthly Social Security benefits, Eva Tucholka of Harlem applied in hopes of freezing her $2,126-per-month preferential rent. But she ended up not even bothering to complete the application when she learned the “freeze” would apply to her legal rent, which is $2,251. We’ve also put together an FAQ about rent stabilization with additional resources.